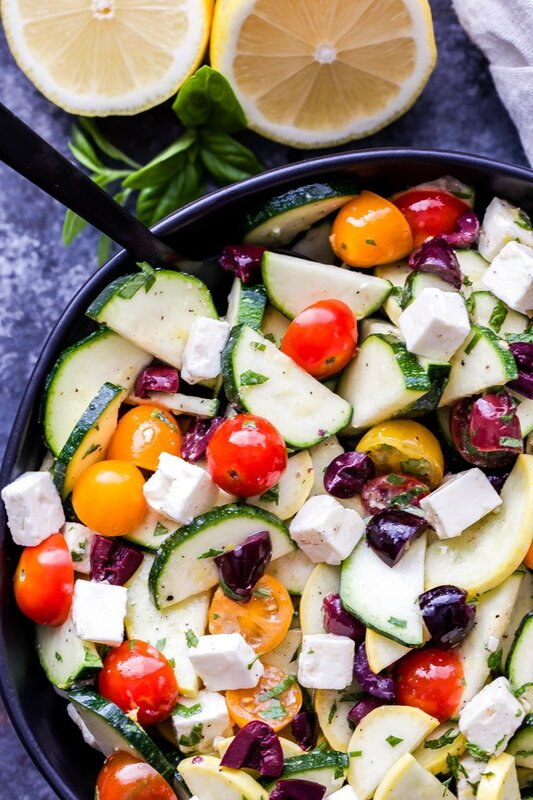 Mediterranean Zucchini, Tomato and Feta Salad is a fresh, light and easy to make summer salad. 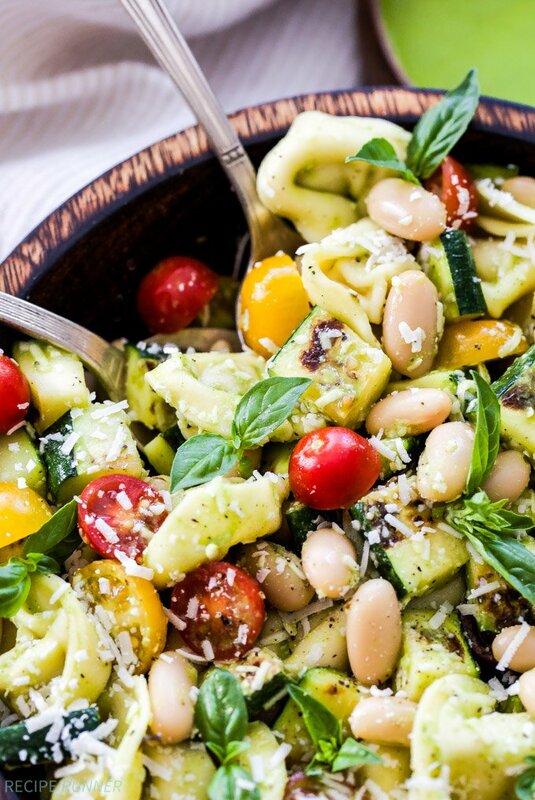 Tossed in a lemon herb vinaigrette, it’s perfect for when your garden is overflowing with zucchini and tomatoes! It’s zucchini season! 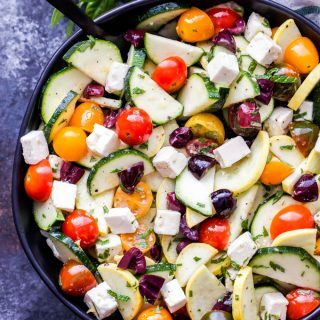 I’m seeing recipes for zucchini cake, muffins, bread, casseroles, tons of zoodle recipes and now you can add this Mediterranean Zucchini, Tomato and Feta Salad to the list. Normally I’d tell you that I made this recipe with the zucchini I’m growing in the garden, but that would be a lie. Even though I have a huge plant in my yard right now, that’s loaded with blossoms, I had to go to the store and buy zucchini. A couple weeks ago I noticed some tiny zucchini starting grow and was so excited knowing that it would only be another week or so before I could pick them. Fast forward to this past Sunday when I went out to see what I could harvest only to find that the two zucchini that I planned to pick were gone. What the heck! I lifted all the leaves to make sure I wasn’t missing seeing them. You know how they like to hide and surprise you later when they’re a foot or more long. Well, they were no where to be found. It appears I have a thief this year, most likely in the form of a squirrel or bird. I’ve never had this problem before and it’s so frustrating because I look forward to eating my garden zucchini every year. I haven’t figured out yet how to stop the thief, but I’m thinking that putting some chicken wire over the top of the plant might work. I’ll take any suggestions you might have. 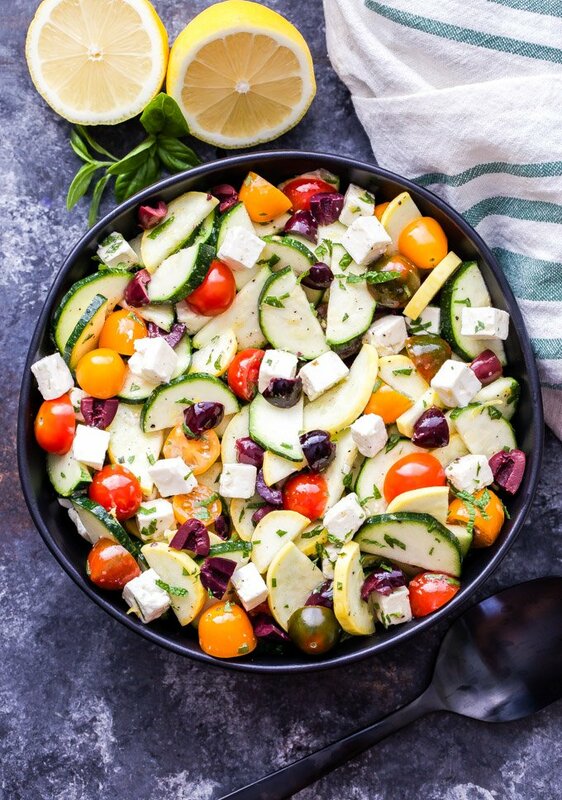 In the meantime, I’ll have to keep buying it from the store so I can keep making this Mediterranean Zucchini, Tomato and Feta Salad. 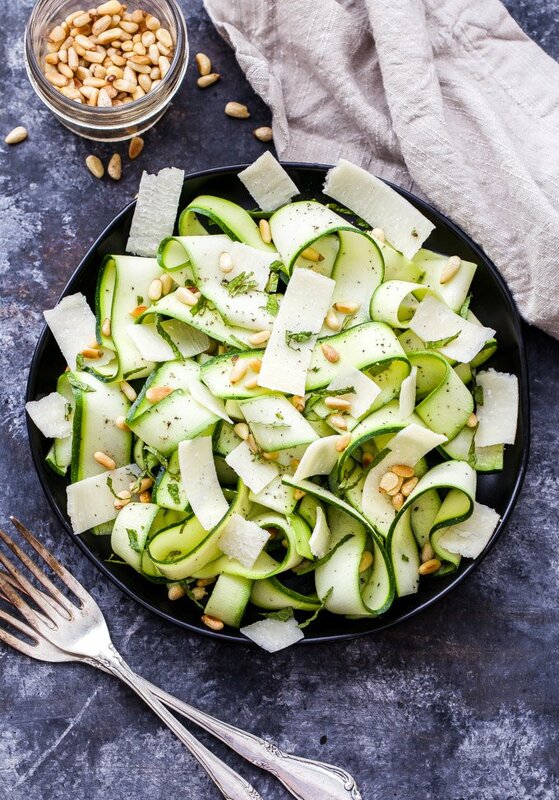 The salad is similar to one you might find that uses cucumbers, but since zucchini is so plentiful and delicious right now, I decided to change it up. 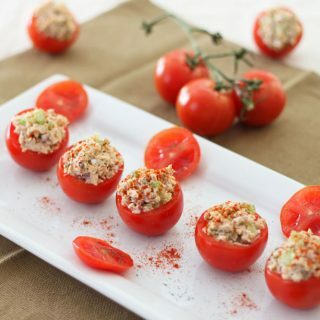 Not to mention you can also use the abundance of tomatoes you might have growing in your garden too. 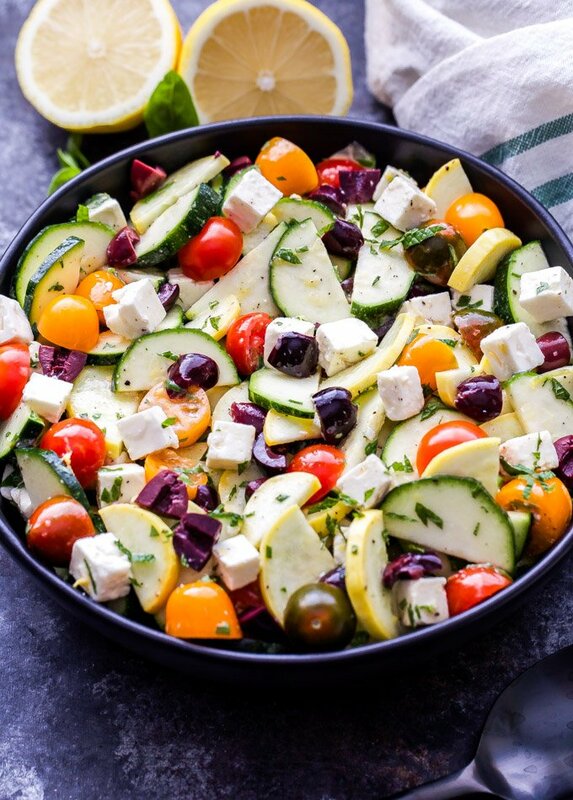 Along with the zucchini, tomatoes and feta, you’ll also find kalamata olives, fresh basil and mint and a delicious lemon vinaigrette to coat it all in. 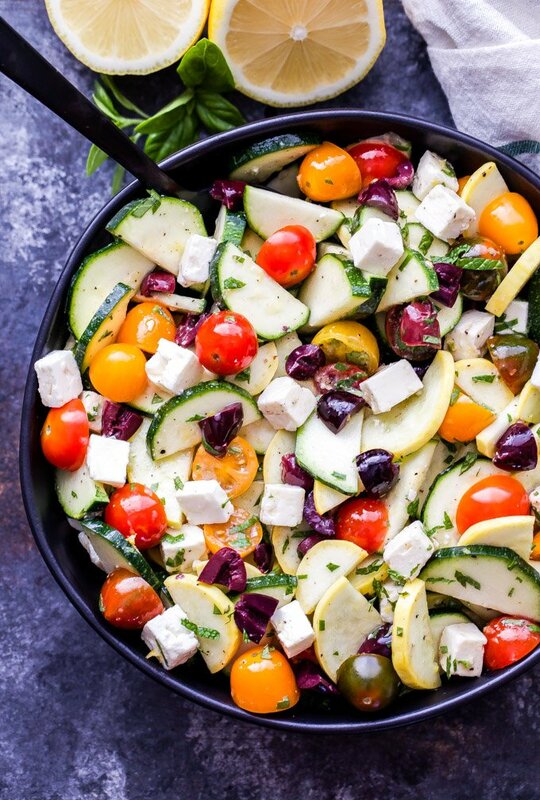 It’s a quick and easy to make salad that will become a summertime favorite! 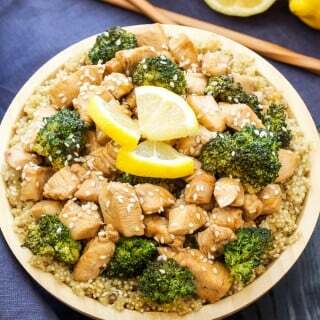 In a large serving bowl whisk together the lemon zest, juice, olive oil, granulated garlic, salt and pepper. 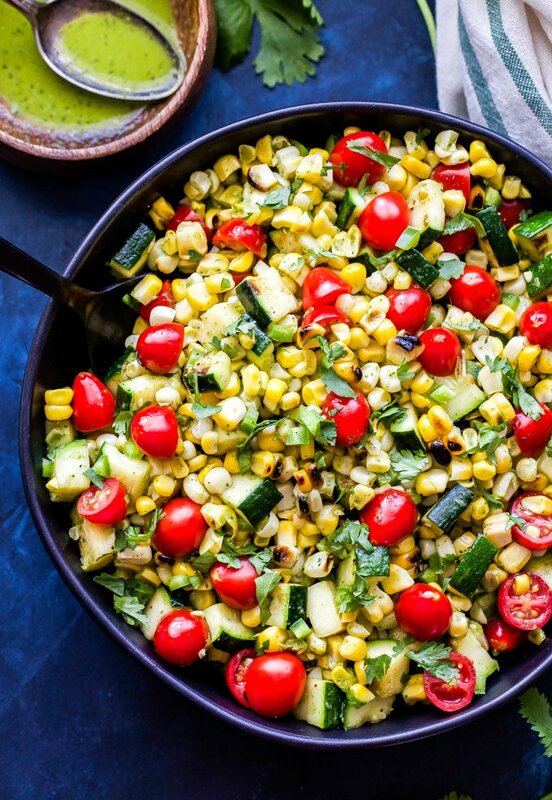 Add all of the ingredients to the bowl and gently toss to coat them in the lemon dressing. Taste for seasoning and serve. 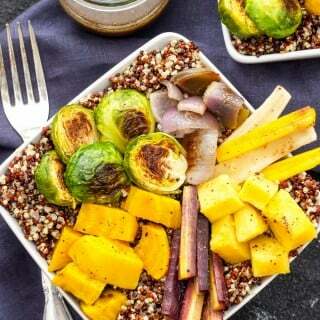 This salad is best eaten the day it's made.